Millions with our Twenty Five bucks! Bloomberg is one guy with millions… We’re millions with our 25 bucks! 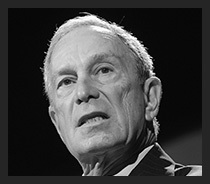 Show Bloomberg that your membership will stop him COLD! Join here.